Although having been established for over 20 years, student housing is a less understood asset class when compared to residential and commercial property. With rising yields, minimal risk of oversupply and increased international activity in this sector, it is certainly an asset that is set to gain a lot more traction. International education is one of Australia’s top four earning export services, bringing in billions of dollars each year. According to the Australian Bureau of Statistics, education activity contributed $16.3 billion in export income to the Australian economy in 2010–11. It is with this in mind that universities across Australia are finding themselves competing against one another to attract international students. Significantly, a number of universities have realised over the last decade that they have to be more pro-active in terms of their product offering (education) and have realised that safe and secure housing is an important component for prospective students. We are seeing the institutions becoming more directly involved in ensuring their offering includes accommodation. 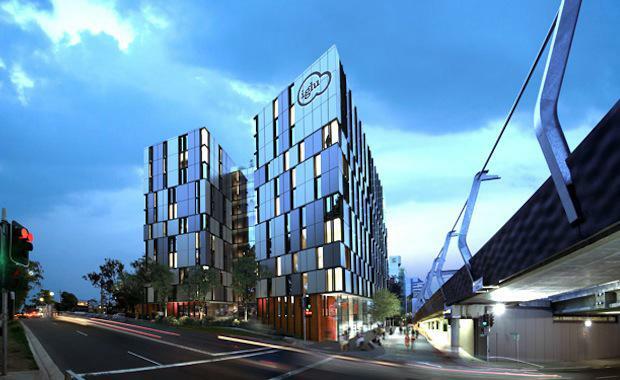 In Australia, Unilodge has been dominating student accommodation since the early 90s with established student accommodation in Sydney, Melbourne, Brisbane and Canberra. Today the market has expanded to include operators such as Iglu and Urbanest as they understand this asset class, although we are now gradually seeing the arrival of new investors, especially of Chinese origin, as it becomes more and more understood. The appeal of this asset class as an alternative investment, is that behaves more like commercial property (yield driven) but with exposure to the residential housing market. Oversupply is a rare phenomenon in student housing as the increase in student numbers over the last 10 years has left most higher education establishments short of accommodation. There has also been a significant drive by universities over the last 10 years to diversify their income sources resulting in rising international student numbers with the largest from China and India. With yields in the range of 6 to 7.5%, student housing is certainly an asset class to look out for. Ged Rockliff is the Head of Residential Projects, Sydney for Savills Australia.